Handsworth Wood station opened in 1896 eight years after the short link line was built by the LNWR between their New Street to Wolverhampton High Level and their New Street to Walsall lines. 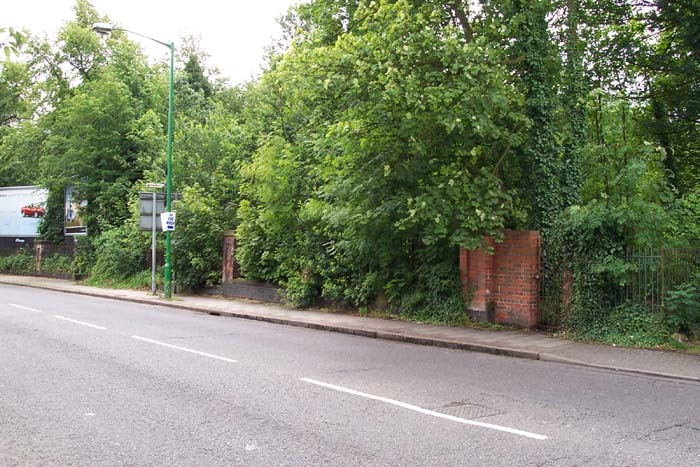 As with the other station on the line, Soho Road, Handsworth Wood closed during the second World War never to reopen. 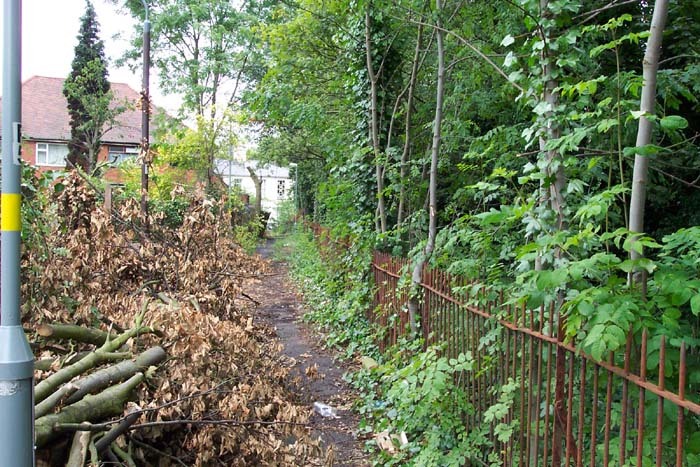 However, unlike Soho Road there are still clues as to its existence extant at the site and, perhaps due to its more picturesque setting in Handsworth Park, it appears to have caught the interest of the railway photographers of the period. 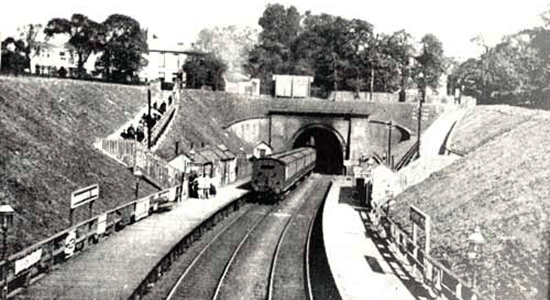 The above photograph (photo: Birmingham Libraries) shows the station in its deep cutting setting between a short tunnel ahead under Hamstead Road and a bridging of the tracks by Handsworth Park, the vantage point from which the photograph was taken. Above-left we are on Hamstead Road and immediately to the right of the large section of red brick wall ahead is the padlocked gate securing the entrance to the pathway down to the platform for trains heading for the New Street - Wolverhampton High Level line. Above-right we have walked along a pathway that flanks the railway and leads from Hamstead Road, that can be seen ahead, and can be found in the extreme right of the previous shot: the railway is to our right. 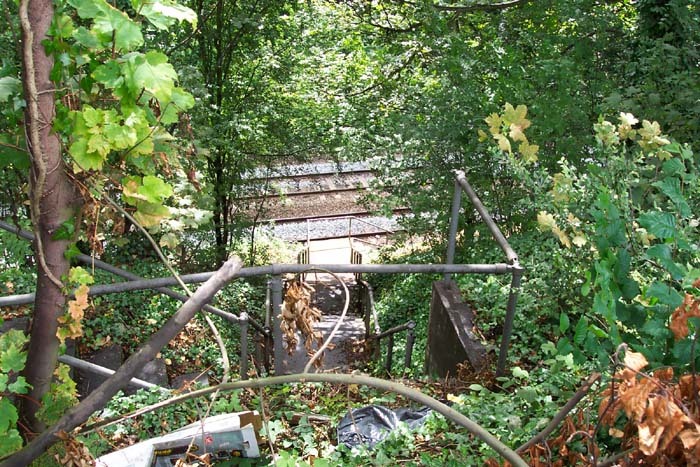 It is from the aforementioned path that we get the above-left perspective that is looking directly down the steps leading from the station entrance path seen on the left-hand embankment in the photograph at the top of this page. Above-right we are also looking down the embankment to the station site and both shots give a good impression of the steepness and depth of the cutting in which the station stood. 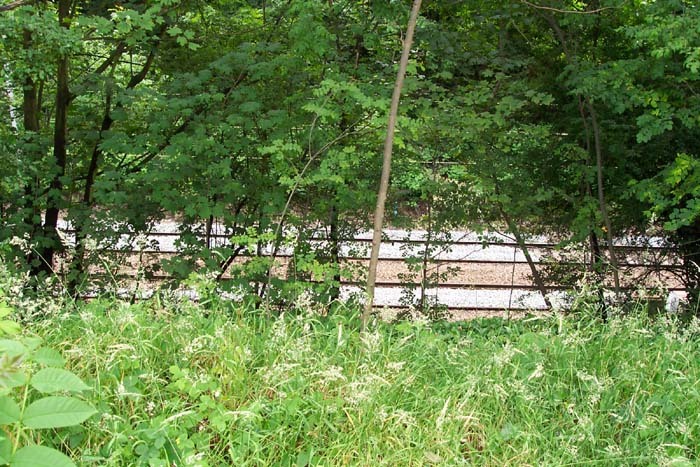 Unfortunately, I could not fathom out a way to get either to track level, or a sufficiently foliage-clear shot of the trackbed itself to provide a good comparison with the photograph at the top of this page. Thus, I cannot confirm with any degree of certainty whether or not anything exists at track level of the old station, although I am fairly certain that it would not.